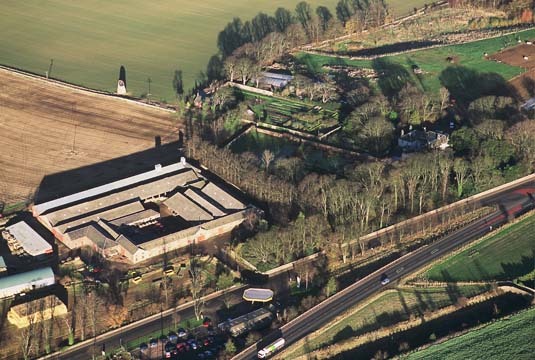 The site is 26 miles South East of Edinburgh on the Eastern boundary of the conservation area of East Linton. 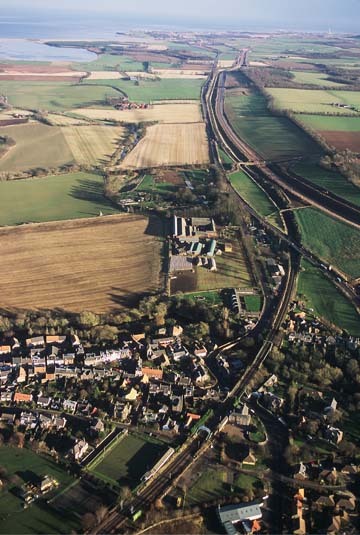 Access is from the A1, Scotland’s main arterial road to the south, by junctions at Haddington and Dunbar. 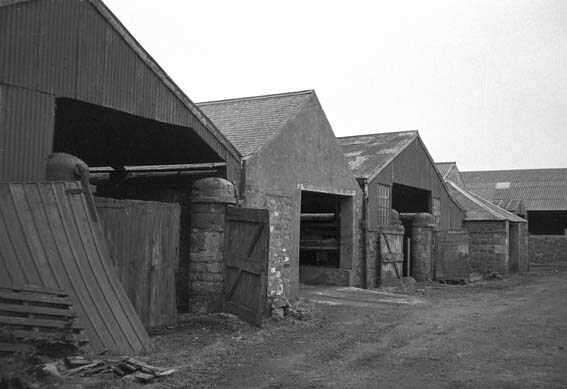 The imposing neo-classical steading, built around 1840, formed an enclosure approximately 100 metres square around a series of open Cattle Courts. 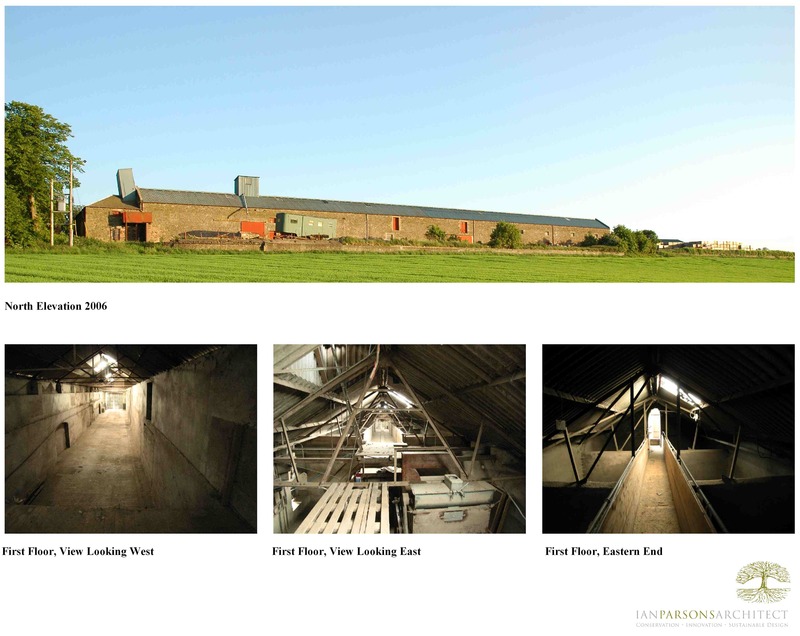 The historic structures were largely built at one time and form the range of single, 11/2 and 2 storey spaces required to over-winter cattle, store and mill grain. 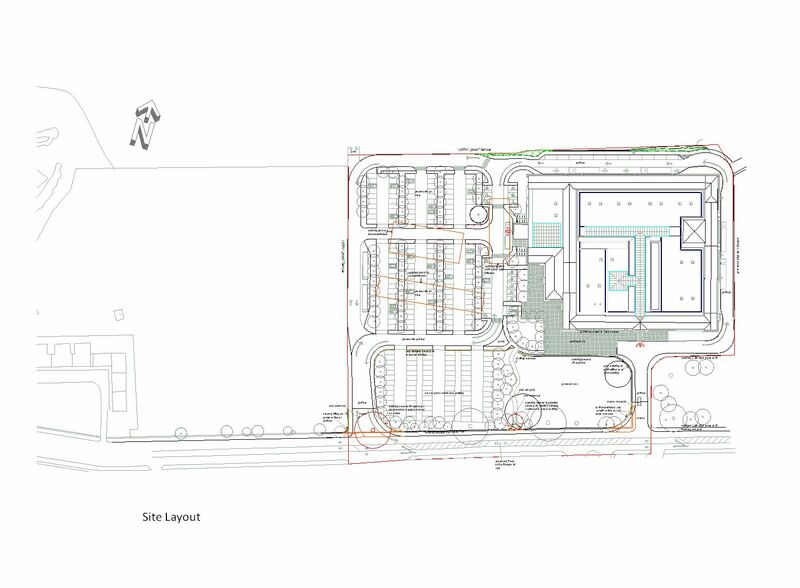 The approved design will conserve the stone perimeter buildings and create one new roof over the internal courtyards. This roof will be below perimeter ridge level and not visible from the exterior. 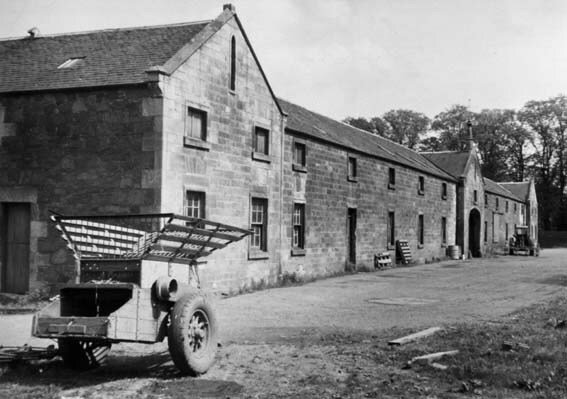 The heritage exhibition, to tell the important story of the steading in Scotland’s agricultural history, will be in the large circulation areas between retail spaces. Image No. 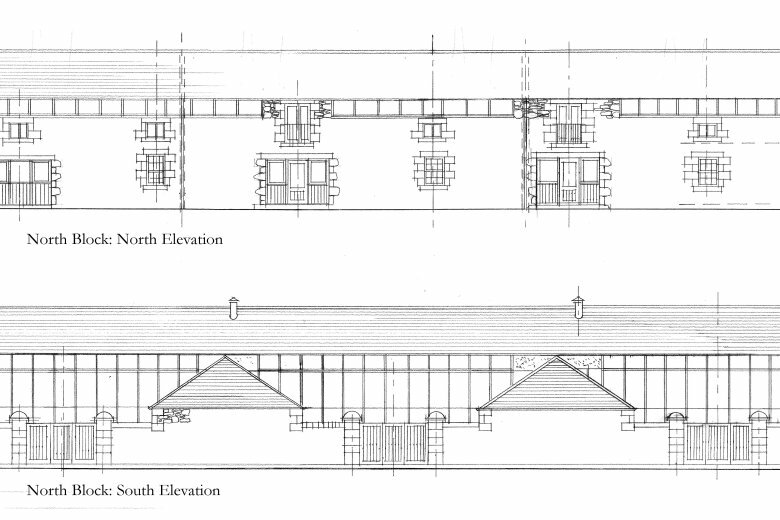 11 is an elevation of the North Block of a earlier scheme by IPA , for a mixed housing and commercial development, which gained Planning Approval but did not proceed. 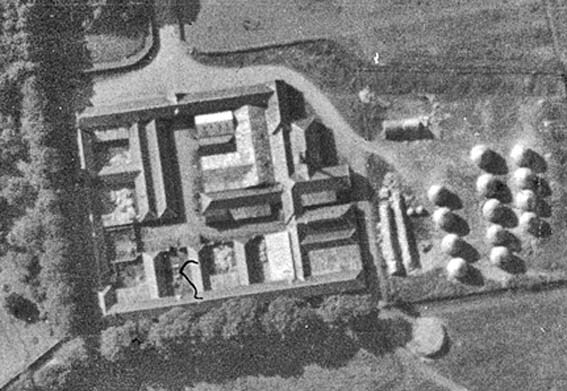 This approach required far more new openings and other changes to the historic buildings than the present design. 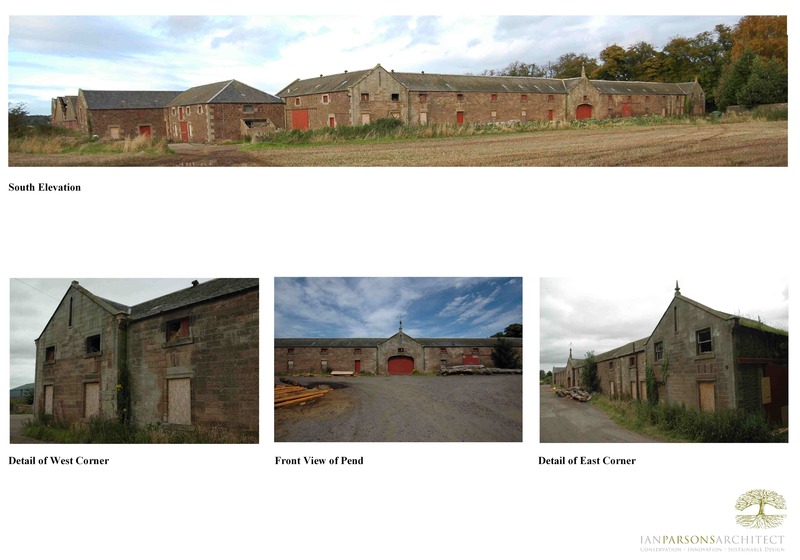 Listing: Category “B” but should also be considered as a group with the “A” Listed Doocote and the East Linton Conservation Area. 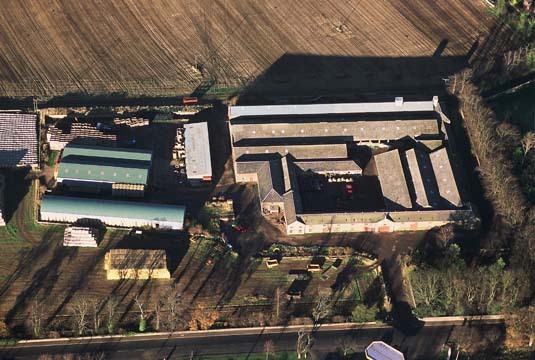 Heritage Interpretation: Campbell and Co.